Over the past few years, the once innovative Japanese company has been plagued by financial disasters. Unfortunately for investors, this year has not become an exception. 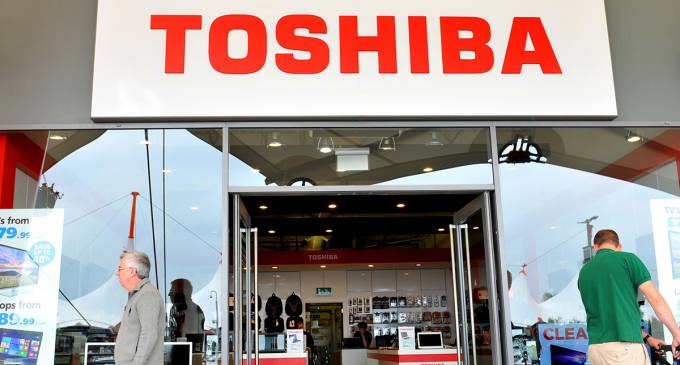 The company has published a forecast regarding the loss for the year, according to which Toshiba is being waited for almost a billion in losses (or more precisely – $ 968 million). Paradoxically, the cause of the anti-record was the sale of the last profitable division of the company engaged in semiconductors. This unit was sold to an association of investors headed by the Bain Capital fund for $ 17.5 billion. Such a huge loss is the tax effect of the transaction. Excluding taxes on the transaction, the annual revenue was expected to be about 5 trillion yen; EBIT is estimated by experts at 430 billion yen. Such famous companies as Apple, Toshiba itself, Dell and Hoya are among those international investors who have bought the semiconductor division of the Japanese high-tech company. We recall that the Japanese company Toshiba has suffered a number of financial failures associated with a failed nuclear project and a scandal with the forgery of the financial reporting. The company’s shares are being traded on the Tokyo Stock Exchange; some time ago there was a risk of delisting the company. Against the backdrop of the news about the alleged billion-dollar losses, the shares have fallen by 2%. The trend will continue with a probable small correction in the future. Some genuinely fantastic information, Glad I detected this. “The historian must have some conceptions of how men who are not historians behave.” by Edward Morgan Forster.